Many Harry Potter fans have different answers when you ask them who their favorite character is, but what are the odds that they respond with “the Ginger Witch”? Though how many people truly know about this mysterious character and would be able to even call her their favorite? Who is the Ginger Witch? That is quite a difficult question to answer as we have very little information about her existence. What we do know is that her alias has made its appearance in numerous news headlines in the wizarding world over the years. 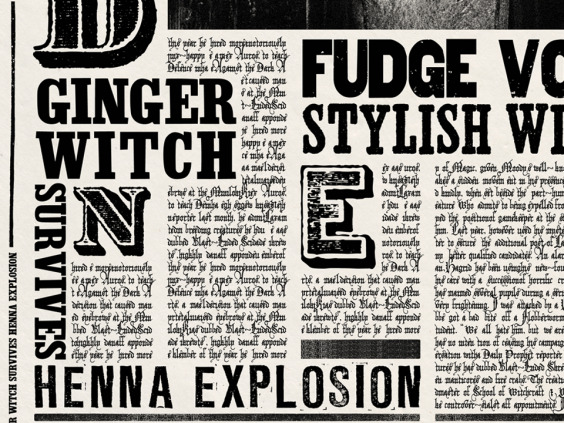 The MinaLima design studio, which created all the newspapers for the Harry Potter films, has silently slipped this unknown character into headlines for years. This has been done because of the amount of freedom the studio is given when creating these newspapers. Besides a few headlines that J.K. Rowling makes sure are present to be consistent with the plot and the story - like Sirius Black escaping Azkaban - the studio is allowed to make up their own headlines for the rest of the newspapers. 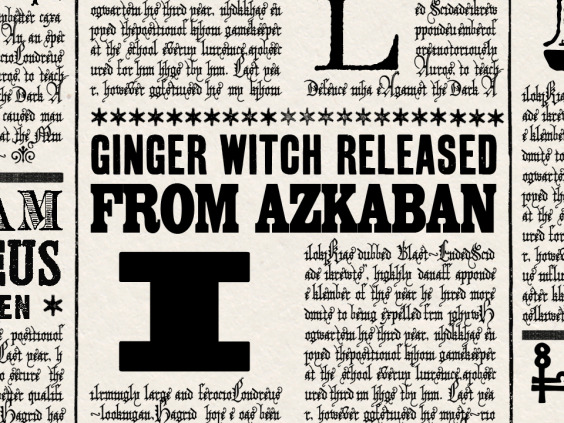 According to an article written by Jacob Shamsian for The Independent, the Ginger Witch is “a hooligan who’s always committing crimes and getting in and out of Azkaban.” MinaLima first places the Ginger Witch in a newspaper in the “Prisoner of Azkaban” film. 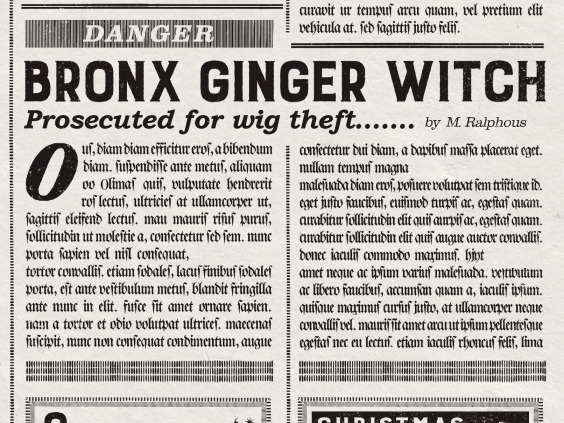 Her name appears again in the “Goblet of Fire” film, with the headline reading “hooligan Ginger Witch Arrested in Muggle Football Match.” Again, she appears in the “Order of the Phoenix” film in a front page article on an issue of The Daily Prophet, “Ginger Witch Survives Henna Explosion” the headline reads. The Ginger Witch is next mentioned in the Quibbler, where she has been “arrested in Caxambu, Brazil, with fake henna” according to Shamsian’s article. The Quibbler later informs us that she has been sent to Azkaban because of her arrest in Brazil. The last we see of the Ginger Witch in the “Harry Potter” films is that she has been released from Azkaban. What do you think this means and how do you think that the Ginger Witch’s story ties into Harry Potter’s time?